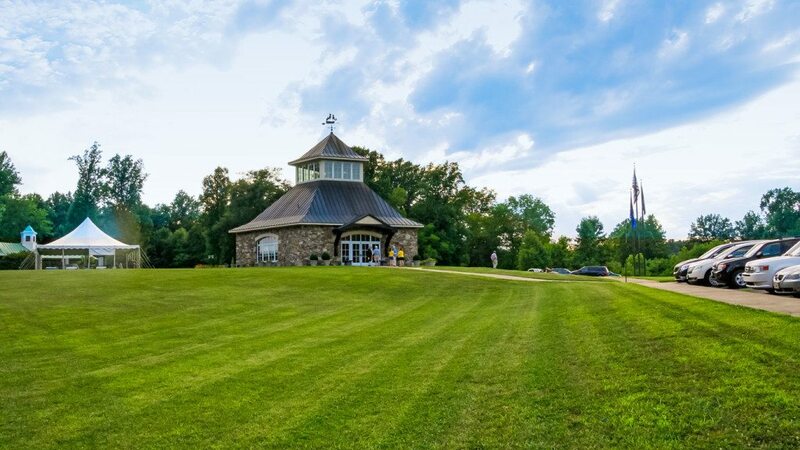 Visit the Brawdus Martin Germanna Visitor Center, Museum, Library, and Memorial Garden, one of the jewels of Germanna. It is located on Virginia Route #3 (2062 Germanna Highway, Locust Grove, Virginia 22508, between Fredericksburg and Culpeper) adjacent to the Germanna Community College’s main campus which is built on land donated by the Germanna Foundation to the Commonwealth of Virginia for the purpose of building the college. The center is open to visitors from 1:00 p.m. to 5:00 p.m. Tuesday through Saturday. We do recommend that out-of-town visitors call us at 540-423-1700 or contact us to confirm that the center will be open at the time of your visit and to make special arrangements for groups. The Visitor Center was dedicated in July 2000 and is named in honor of R. Brawdus Martin 1879-1977 who initiated the first meetings of what is now the Germanna Foundation. The library is named in honor of Brawdus’ wife, Evelyn Martin, as a memorial from their daughter, Mary, and her husband, William Bourland. The architect of the Visitor Center, Doug Harnsberger, is a Germanna descendant, and he chose the pentagonal shape of the building to call to mind the pentagonal shape of the original Fort Germanna. The handsome copper ship weather vane on top was a gift from the architect. The construction of the center came about as a result of the hard work of many Germanna members and grants from the Commonwealth of Virginia, federal ISTEA grants and private donations. Germanna from Pretty Fly Productions on Vimeo.